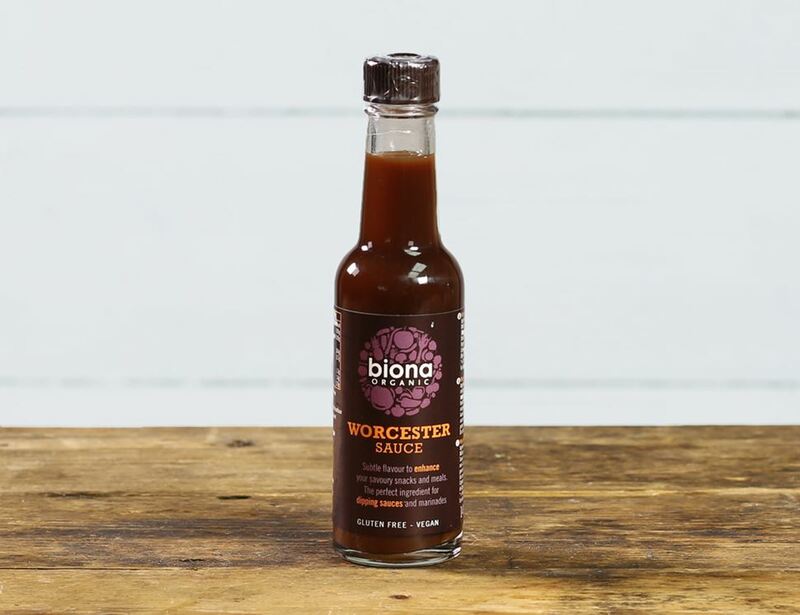 The folks at Biona reckon this organic Worcester sauce is the one for enhancing savoury snacks and suppers. It's perfect for dipping sauces and marinades. It's also a key ingredient for Bloody Marys! Water, Vinegar*, Raw Cane Sugar*, Molasses*, Balsamic Vinegar*, Tamarinds*, Tamari*(Soya Beans*, Sea Salt) , Onions*, Sea Salt, Blackcurrant Syrup*, Garlic*, Oranges*, Chilli*, Red pepper*, Ginger*, Cardamom*, Coriander Leaves*, Cinnamon*, Basil*, Parsley*, Coriander*, Nutmeg*, Black Pepper*, Cayenne Pepper*, Pimento* * = produced to organic standards. Shake well before use. Store in a cool and dry place.